Seaward Villas #201 is an EFFICIENCY perfect for small families. No need to cross the street WITH ONLY A SHORT STROLL (100 yards) to access the beach. Absolutely adorable condo whereby the owners thought of everything for your enjoyment with great movies for the kids, storage area with beach chairs, boogie boards and umbrella. For those treasure seekers, the owner has a metal detector if Dad wants to hunt for buried treasures. Love relaxing with a good book, this condo has great reading materials for your enjoyment. MOST AFFORDABLE OCEANSIDE VACATION EVER! 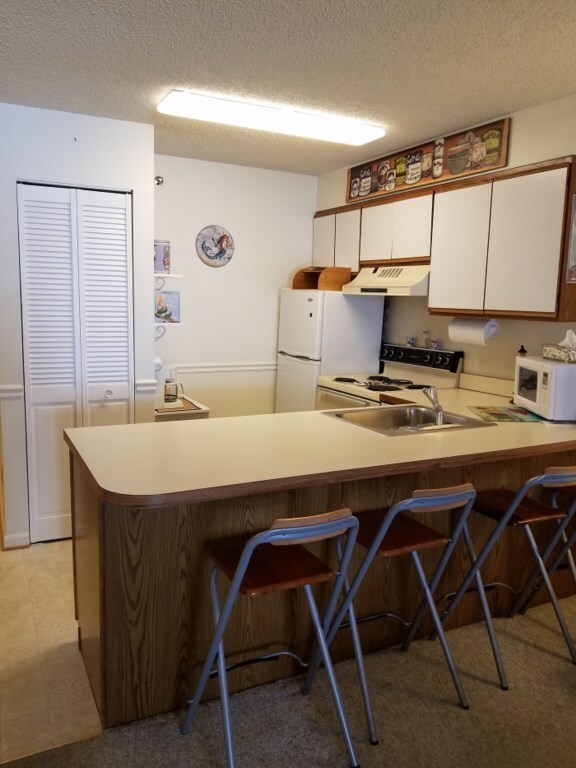 This condo offers a Queen size bed and Queen Sleeper Sofa, Fully stock Kitchen, Bathroom with tub/shower, stackable Washer/Dryer, TV with cable, DVD/VHS player, Clock radio and FREE WiFi provided. 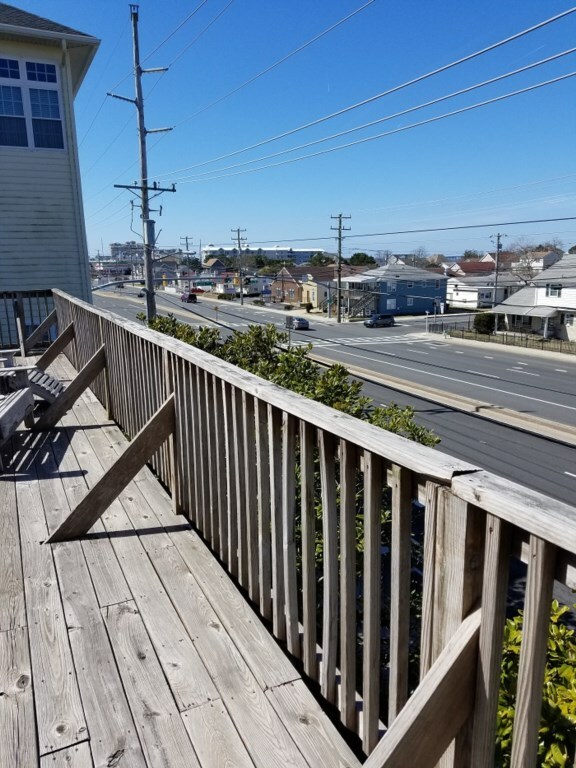 Enjoy relaxing on the private balcony or taking in the view during the big events in Ocean City, such as Hot Rods during Car or Bike Week. 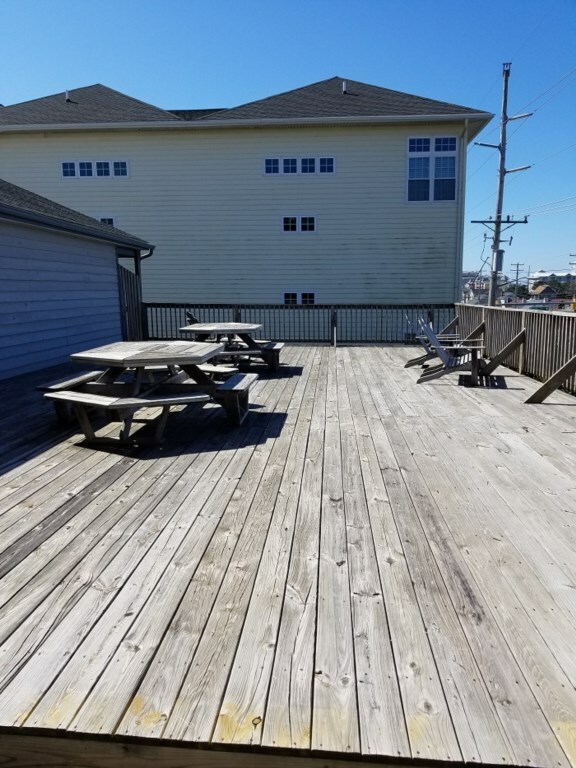 Additional PLUS, right off the front entrance is a HUGE Community Sun Deck with Picnic tables and chairs, great for playing games, enjoying time with family eating Maryland’s famous crabs or just soaking up some sun! This complex also offers a covered parking space. LOCATION: Oceanside on the corner of Coastal Highway and 91st Street, whereby you can sit comfortably on your private balcony and watch the hot rods or corvettes during Car or Bike Week. 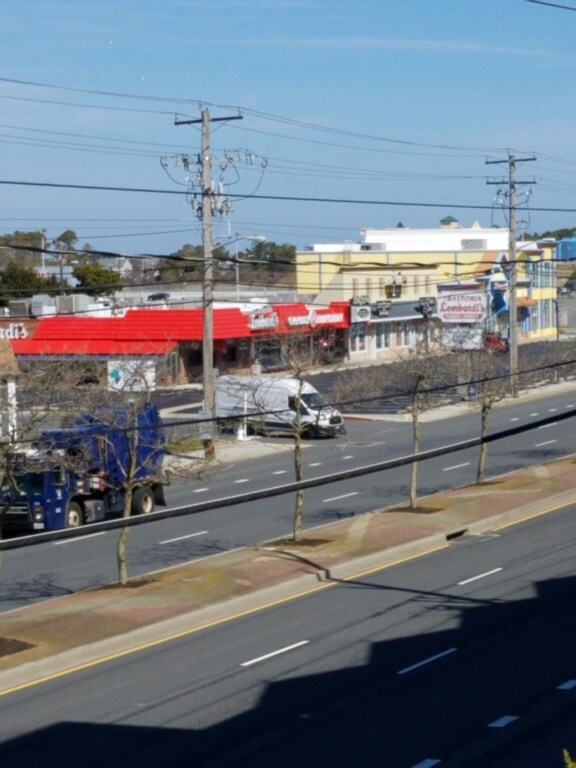 Walking distance to Acme Grocery Store, Lombardi’s Italian/American Restaurant, Kirby’s Irish Pub, Liquid Assets for an upscale dining and wine shop, Bull On The Beach which is an Ocean City local’s favorite. Even closer you can also go next door to the Princess Royale which offers an outside Gazebo Bar with live music and inside is Schooners Restaurant. CHECK-IN: This property is available for Flex Stay with a minimum of 3 nights.